Announcement Welcome to the Valerie Tyler Collection which includes global style goods, vintage home decor, original art and personalized accessories. Welcome to the Valerie Tyler Collection which includes global style goods, vintage home decor, original art and personalized accessories. Love the ring and service was quick! Jewelry sale going on now on several items for a limited time! This is a GREAT deal on select pieces. Perfect for those of you that love global style. Nature is the best inspiration! This gorgeous layered stone pyramid is in the shop along with other vintage objects made from natural materials. Style your home with global and earth Inspired vintage and modern home decor as well as find the perfect personalized gifts. Valerie hunts constantly to find you unique objects for the home as well as designs products that can be both timeless as well as on trend. Valerie is the sole owner, vintage curator, designer, jeweler as well as your customer service representative. It's pretty much a one woman show! Boutiques and galleries, I do wholesale my jewelry line and offer the standard industry rate. Convo for details. I also sell through Etsy Wholesale. Sorry, I do not wholesale my decor/vintage right now. I carry a line of personalized jewelry that can be easily customized with initials, and a line of cuff bracelets that may at times be customized with different words. I can also sometimes create multiple listings for bridal party orders depending on the quantity and turnaround time needed. However, other than the personalized jewelry options already in the shop I do NOT currently take custom requests other than some minor chain length adjustments. -keep away from moisture and chemicals and clean with a polishing cloth. -remove when heading to the pool, beach, in the shower, etc.. Many items are also vintage so they may have signs of patina or wear. 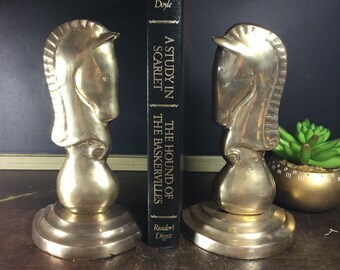 These add to the character of the item, but you may choose to use brass polish to shine them up. Jewelry orders will come in 1-2 gift boxes in a bubble mailer. One gift box is ALWAYS free of charge as thanks to you. Decor and vintage items will be carefully wrapped (usually with bubble wrap and/or tissue) and mailed in a sturdy shipping box or mailer depending on the size. Please be sure to read each listing and look through all photos to be sure of sizing and dimensions. I try to list everything as accurately as possible but if you have further questions about sizing please send a convo. Since many items are vintage, and may be fragile or require special handling and shipping I DO NOT accept returns. Please do ask any questions before purchase and check listing sizing carefully. I want you to be confident in your purchase. Personalized jewelry is not returnable since it is customized just for you. Other jewelry may be returnable on a case by case basis. Return shipment costs for non-personalized jewelry are the responsibility of the buyer. Some listings state they ship withing business days only. Business days mean Monday - Friday excluding Holidays. Please do not count Saturdays, Sundays and national holidays in these shipping timelines. SHIP BY DATE: When your package leaves to get to you. This is when your package will be actually put in the mail after processing. You may find the expected ship by date on your invoice. Please add at least 2-7 business days (Domestic) / 1-4 weeks (International) after the expected ship by date to estimate the actual delivery date. DELIVERY DATE: This is not guaranteed since delivery depends on your postal service. Please check tracking through the postal service website for the most up to date information. Contact your postal service for any questions or issues once tracking is listed as they will have the most current information about where your package is and when your package may arrive.